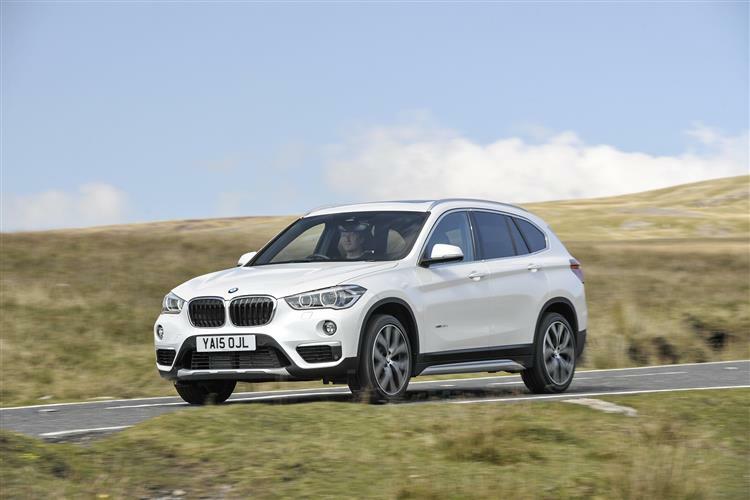 BMW's premium compact Crossover model is a much better prospect in second generation guise and is potentially at its most appealing in xDrive 25d diesel 4WD form. The experts at Car & Driving takes a closer look. 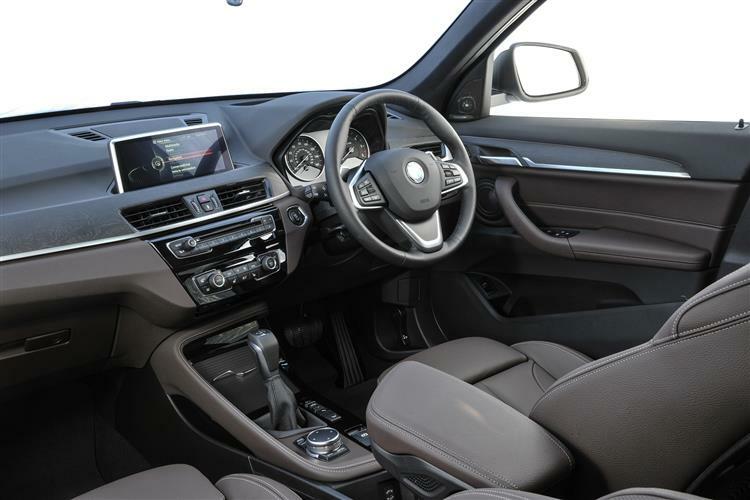 The second generation BMW X1, with its more convincing SUV looks and improved interior space, is expected to prove more popular than slightly awkward predecessor. Topping the range is the all-wheel-drive xDrive 25d variant fitted with a 227bhp version of BMW's 2.0-litre turbocharged diesel engine - the brand's most powerful four-cylinder motor to date. BMW first introduced the X1 in 2009 as an entry-level Crossover below the X3 and X5 SUVs. Looking more like a bulky 1-series hatchback than a baby off-roader, the car seemed unnecessary at the time, yet it went on to become an established part of the range. At the time of this model's launch, there were few options open to buyers looking for a family-sized Qashqai-style crossover with a premium badge, but since then, the Audi Q3, the Mercedes GLA-Class and the Infiniti QX30 have all piled into this market. Cars like the Honda HR-V and Jeep's Renegade are also hoping to get a slice of this segment. In response to this level of competition, the X1 has had to up its game, hence the launch of this second generation X1 range in the Autumn of 2015. Here, we're looking at this car in its most expensive and powerful xDrive 25d guise. Power is not a problem in the X1 xDrive 25d. The direct injection 2.0-litre diesel engine produces 227bhp, so from a standstill, 62mph comes along in 6.6 seconds and, if allowed to do so, the 25d will top out at 146mph. 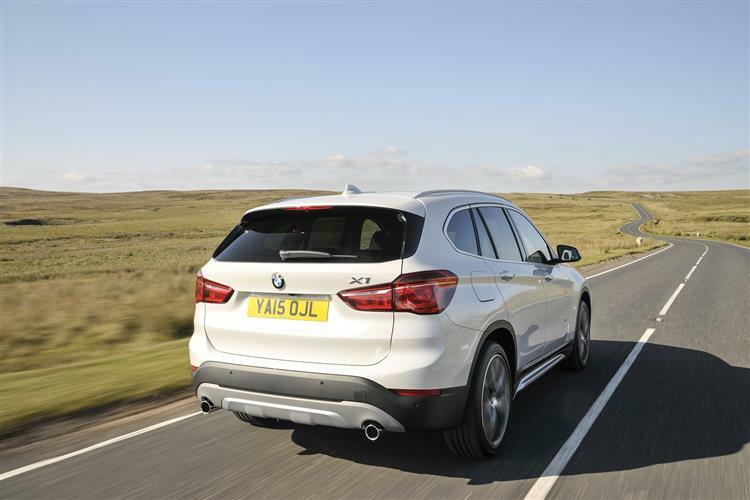 It's helped along by an eight speed automatic transmission which, if drivers choose, can disengage the engine when they take their foot off the accelerator at motorway speeds, allowing the X1 to coast along without using more fuel than necessary. 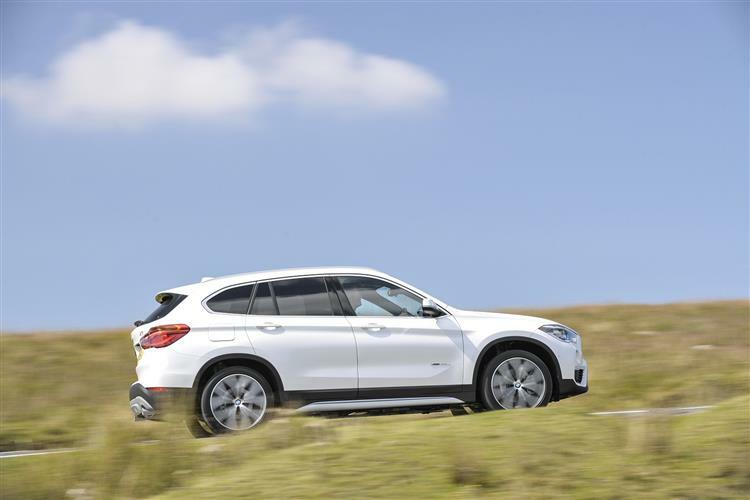 While this BMW is more of a Crossover than an all-terrain vehicle, the xDrive system fitted to this top variant lends this X1 some credibility as a car for all conditions. This is, in essence, a sophisticated all-wheel-drive system that rapidly adjusts the power going through any, or all wheels when there is a danger of sliding, such as in wet, or icy weather. That'll tick the right box for people living in semi-rural areas or in suburban complexes where winter gritting-lorries don't venture. Thanks to the SUV-like stance, the driver's seat is positioned higher giving a good view over the road ahead. The steering is speed-sensitive, so it's lighter and easier at low, manoeuvring speeds but becomes heavier at higher speeds for better stability. This second generation X1 has grown in size and has much better room inside for passengers and luggage. 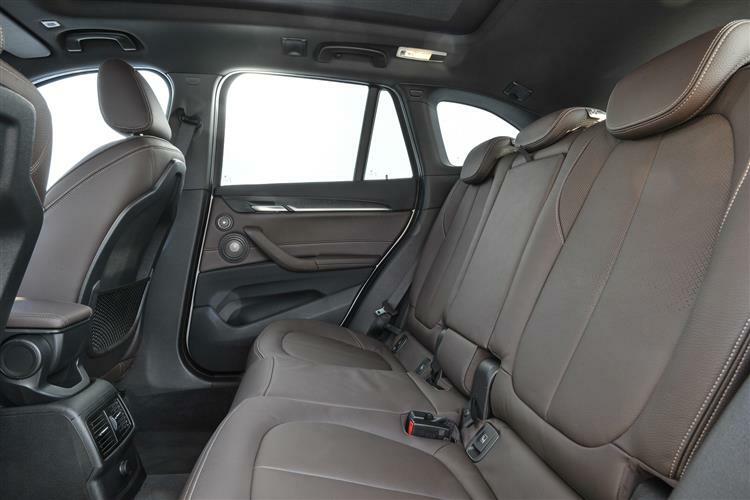 Leg and knee-room in the back is helped by the sculpted rear-sides of the front seats, while the second row of seats can slide back and forth on runners. The rear bench can be folded down electronically and when it's flattened, luggage capacity grows by over 1,000 litres. 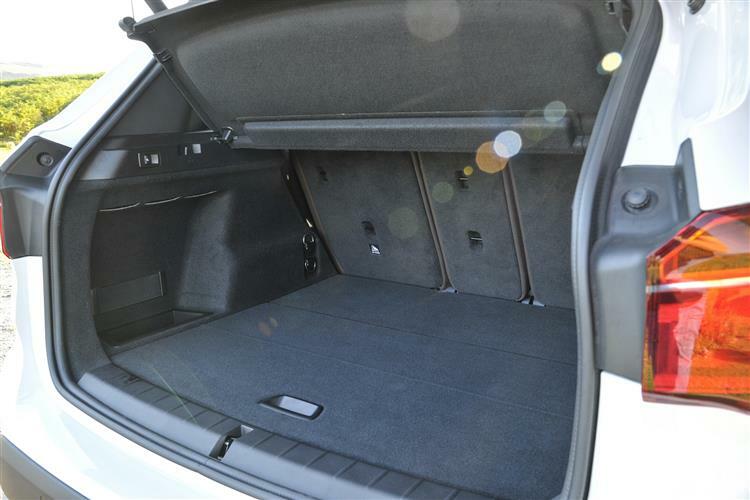 Even with the seats upright, boot space has increased by 85-litres over the previous model. If you approach the X1 in a car park with both of your hands carrying heavy shopping, while your key is in your bag or pocket, simply point your foot under the rear bumper and the tailgate will open up automatically. Moving around the car, the body is clearly inspired by the larger X3 and X5 models, making this X1 a more natural fit in the X-series than its predecessor. This top 25d variant only comes with sporty xLine or M Sport trim, so gets more aggressive looks that create a muscular, sporty Crossover with 'want one' appeal. The X1 range begins at under £27,000 with the sDrive 18d, but this xDrive 25d variant checks in from just over £36,000. This makes it a little more expensive than the equivalent Audi Q3 and Mercedes GLA models and it faces a tough challenge against the hugely popular Range Rover Evoque. The 25d is available in either xLine or M Sport trim and chrome profile detailing reinforces the premium aspirations of this all-wheel-drive car. The xLine model features a BMW kidney grille with bars that are matt aluminium at the front, with matt silver accents for the air intakes, side skirts and underbody protection. M Sport versions are fitted with a model-specific M aerodynamic package and 18-inch or optionally 19-inch M light-alloy wheels. 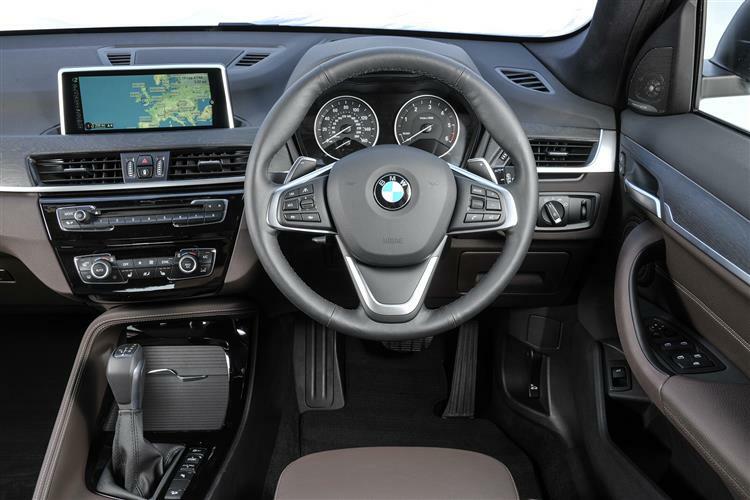 The M Sport interior features heated front sports seats in anthracite-coloured cloth/Alcantara with blue accents, and an M leather steering wheel. Safety-wise, all X1 xDrive 25d buyers get a collision warning and mitigation system, plus there's internet access and autonomous Parking and Traffic Jam assistance - increasingly common features in this sector..
BMW have long experience in reducing weight for their high performance models, so much of that experience has been used to reduce the bulk of the rather more sedate X1. The body has been designed to have relatively low drag for a Crossover-class vehicle and features such as Start-Stop, cruise coasting and an Optimum Shift Indicator try to help reduce the amount of fuel spent needlessly on a journey. The result is that this prestige compact Crossover returns a healthy 56.5mpg on the combined cycle in this guise fitted with BMW's most powerful four-cylinder diesel engine. Despite being the top-end model, the xDrive 25d emits 132g/km of CO2, so will cost £130 in tax a year. 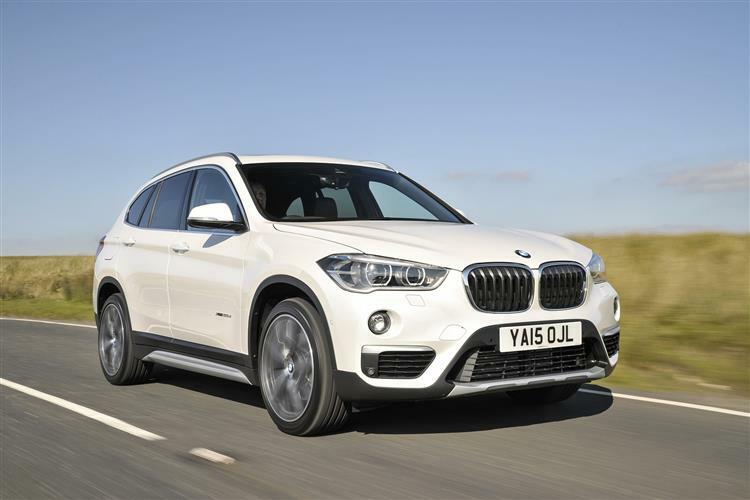 By comparison, the xDrive 18d X1 variant will return 109g/km, costing just £20 per annum. For those who choose the X1 xDrive 25d as a company car, the Benefit in Kind rate is 24%. Residual values for this X1 should stay relatively high and pre-paid servicing plans will help keeps costs in check. For example, BMW's Service Inclusive pack covers the cost of servicing for five years or 50,000 miles. 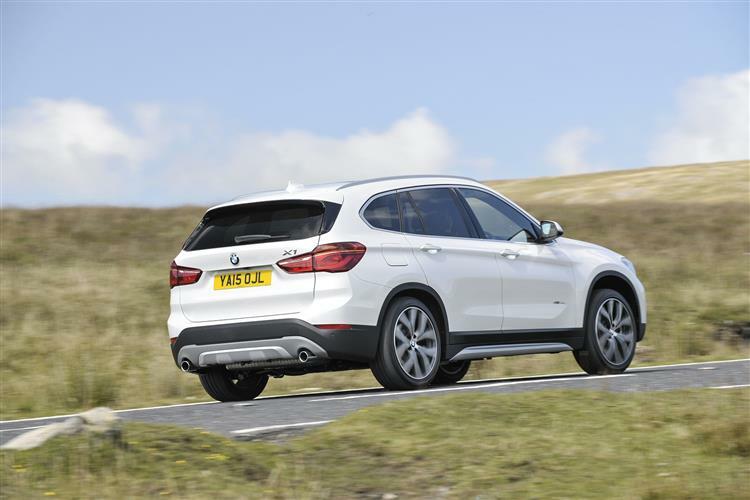 The marked improvement in the second generation BMW X1 over its popular predecessor means this car should sell extremely well. Its styling has been brought in line with the larger X3 and X5 models, creating a comprehensive X-series that is totally distinct from the BMW 1, 3 and 5 series lines. Plus buyers get a more luxurious interior with a larger luggage capacity, addressing some of the criticisms of the previous model. And owners will like the commanding driving position and the improved handling in difficult conditions. Of course, in this top xDrive 25d guise, this X1 is pricey but if you don't need the space of the brand's larger X3 model, it could still make sense if you like the idea of a bit of extra performance. What's certain is that prestigiously-badged compact Crossovers seem to be much more worth their inevitably quite expensive prices these days. If you doubt that, then try this one.